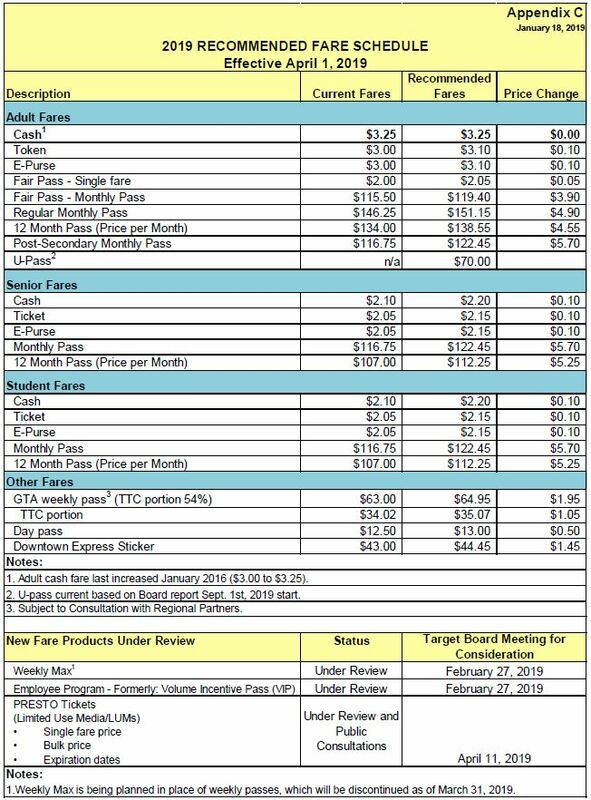 This article continues my examination of the TTC’s 2019 Operating Budget which began with a review of the proposed fare increase. 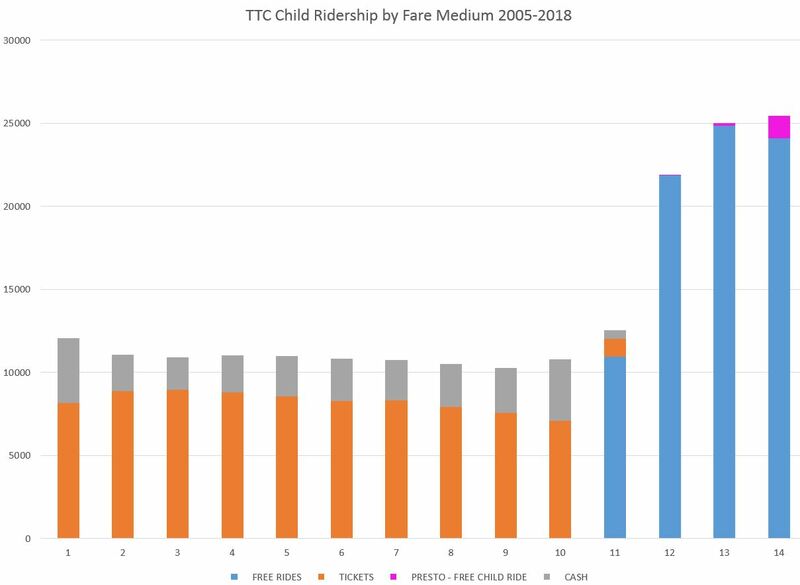 Understanding the budget can be challenging because it presents the TTC’s status in a manner that does not directly align with actual experience. 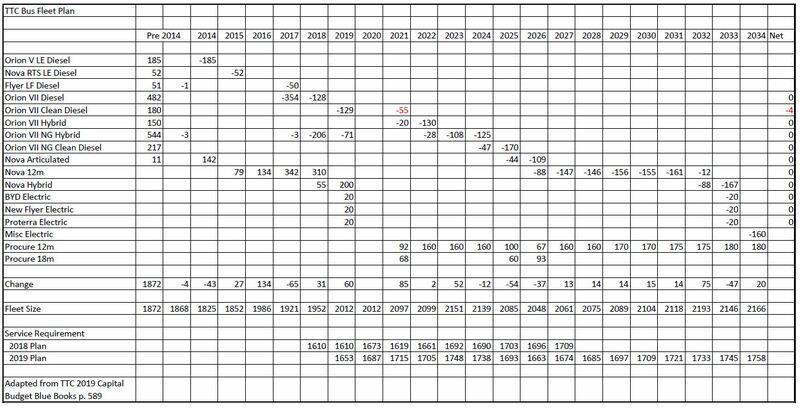 Every year, the new budget is prepared showing the changes from the previous one, but in fact operations during any year rarely produce the budgeted numbers by year-end. Factors such as shifts in energy prices, unexpected changes in labour legislation, and extraordinarily bad weather can combine to throw off the final results. Depending on circumstances, this can have various results. 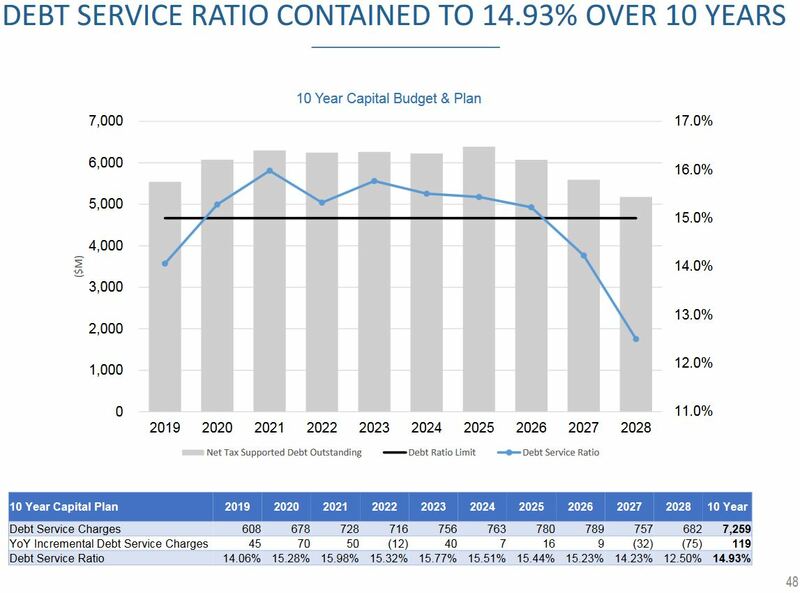 If the budget is running tight because of unexpected expenses or farebox revenue falling below projections, service increases planned for late in the year could be deferred, or some maintenance might be put off to the following year. Expenses may be high in one account, but lower in another, and collectively these could offset each other. 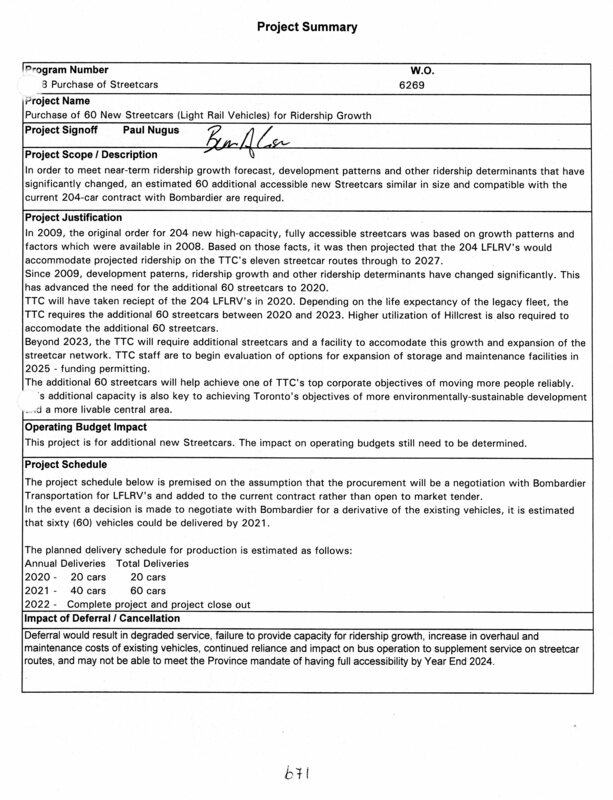 Revenue may run higher than expected and planned service improvements might be deferred with the combined effect of creating a “surplus”. 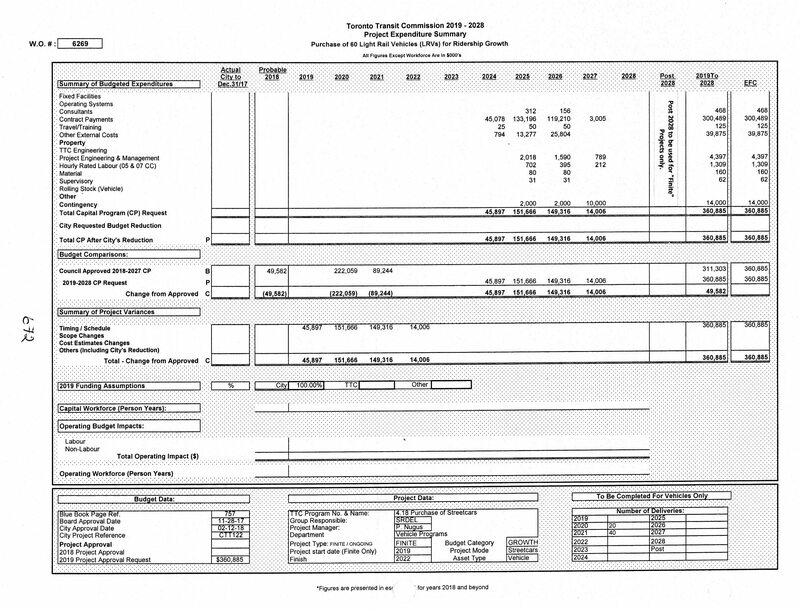 This is not unusual when budgets are crafted with room to handle in-year variations. It also sets a base for the following year’s budget higher than might otherwise be available. On a total budget of $1.9 billion, a few percent one way or another is to be expected. However, two percent, or $38 million, is equivalent to more than 1% on the property tax if this were a shortfall to be covered by the City. A further problem is that from the Council’s point of view, only the “net” budget matters because that is the part which the City pays for. 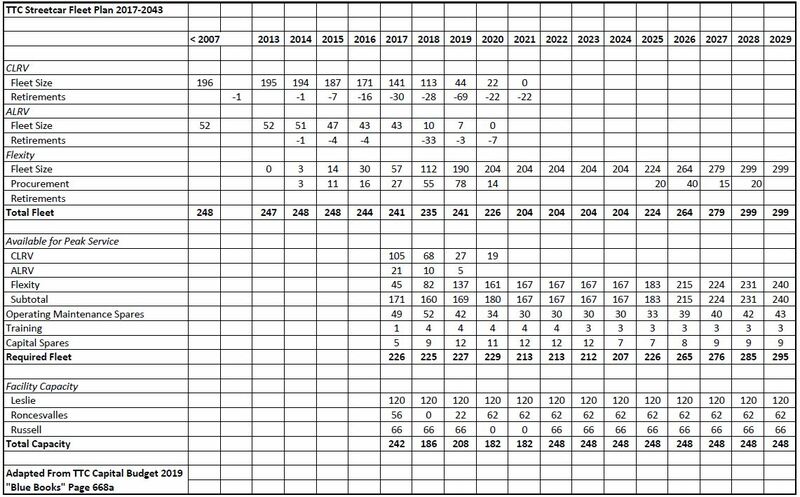 This magnifies swings in the budget so that a 1% change at the gross level becomes a 3% change at the net level assuming other revenue (mainly fares) comes in as expected. 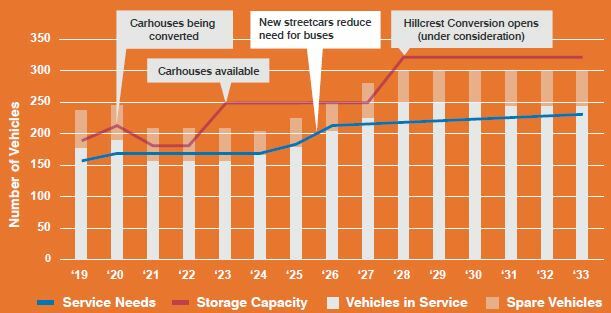 By year-end, any shortfall cannot be made up from the farebox, and the City would have to absorb it all. 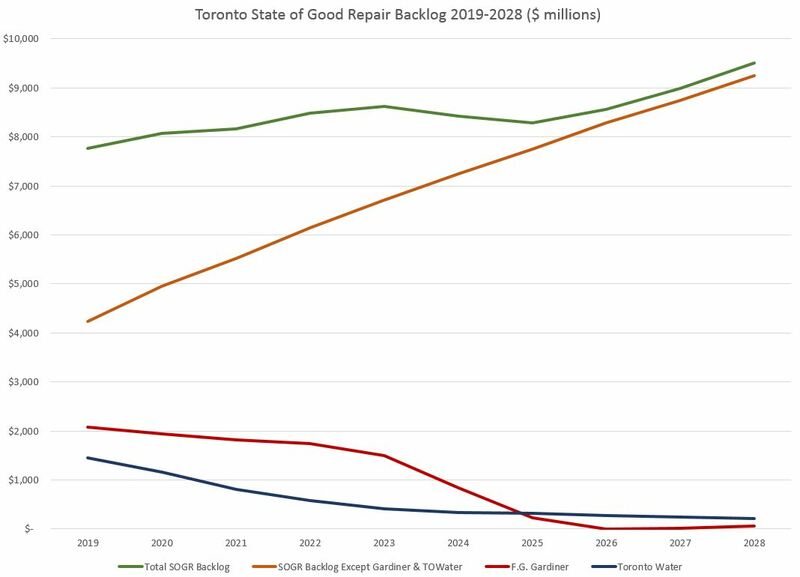 This budgetary math creates a situation where there is strong pressure to keep the subsidy requirements below budget and, ideally, to “give back” unused subsidy to address other City funding requirements. 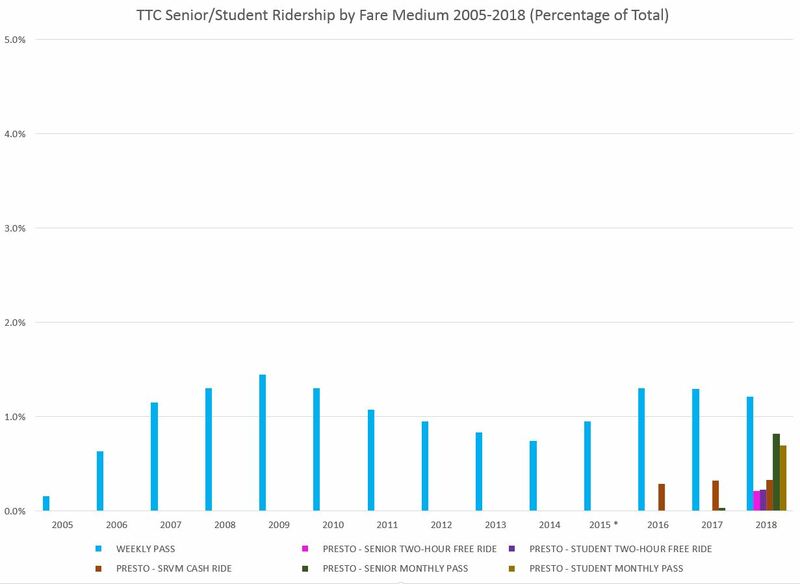 The TTC may aim to improve service and operate according to standards, but this is all “subject to budget”. 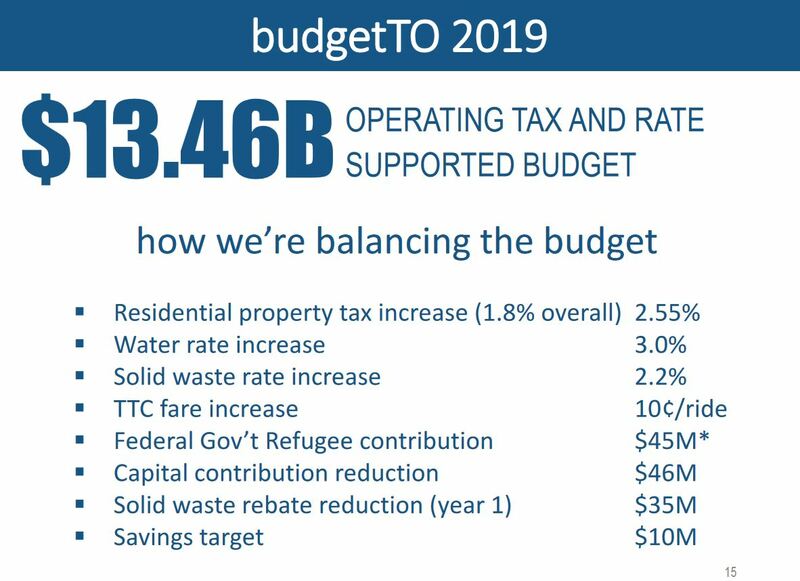 These are budget-to-budget numbers and they show a 3% increase in the requested subsidy from $741 million to $763 million. 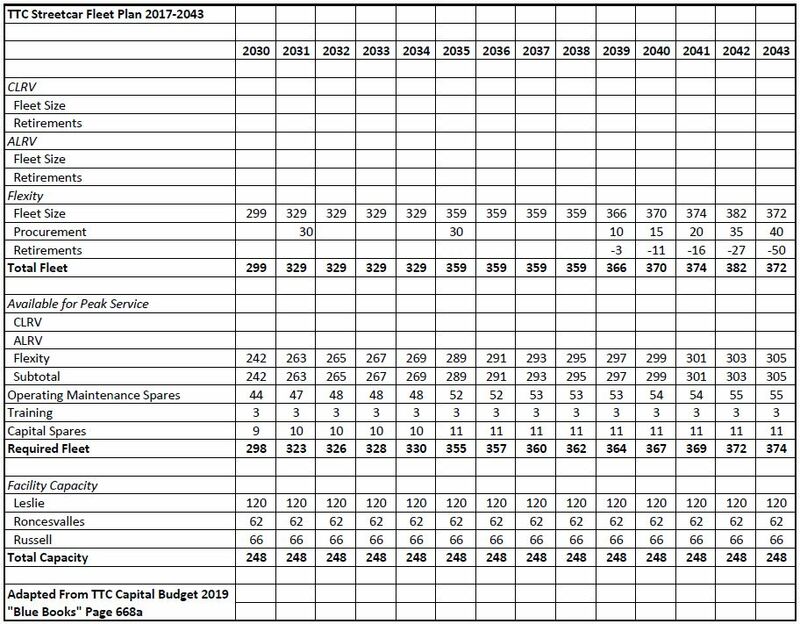 The “conventional” system goes up by $25 million, but this is offset by a reduction in the Wheel-Trans subsidy caused by lower-than-projected growth during 2018 relative to the budget. Some context for the 2018 numbers is available in the CFO’s Financial Update for the third quarter of 2018. 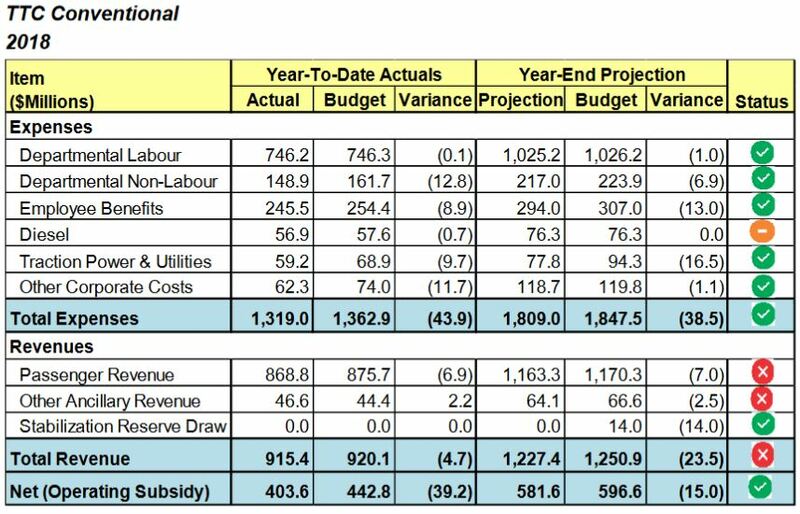 Although revenue is lower than projected, expenses are even lower requiring less subsidy than the budget foresaw. This will eliminate the draw from the Stabilization Reserve leaving these funds available for use in the 2019 budget. 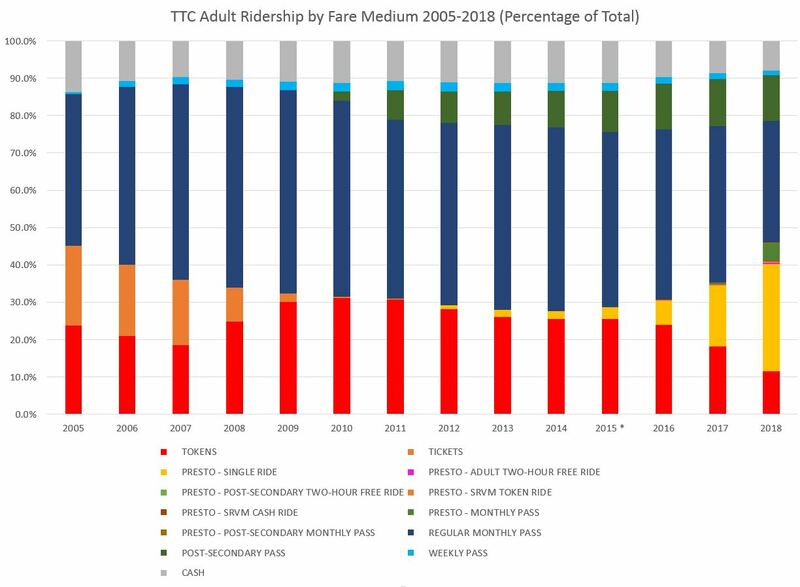 The TTC’s goal is to preserve improvements that affect customer service, and this is achieved by whittling away at expenses behind the scenes. “Efficiency” is always a watchword, but there is a point where there is nothing left to cut without harm to the organization. 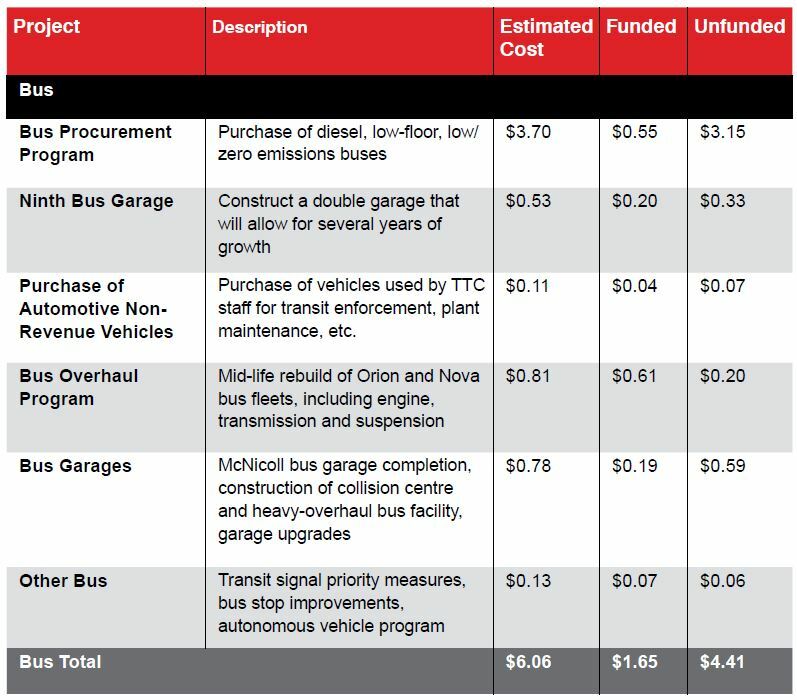 In 2019, the TTC has again managed to find cost savings, although some of these have external causes and/or are one time changes that cannot be sustained in future budgets. 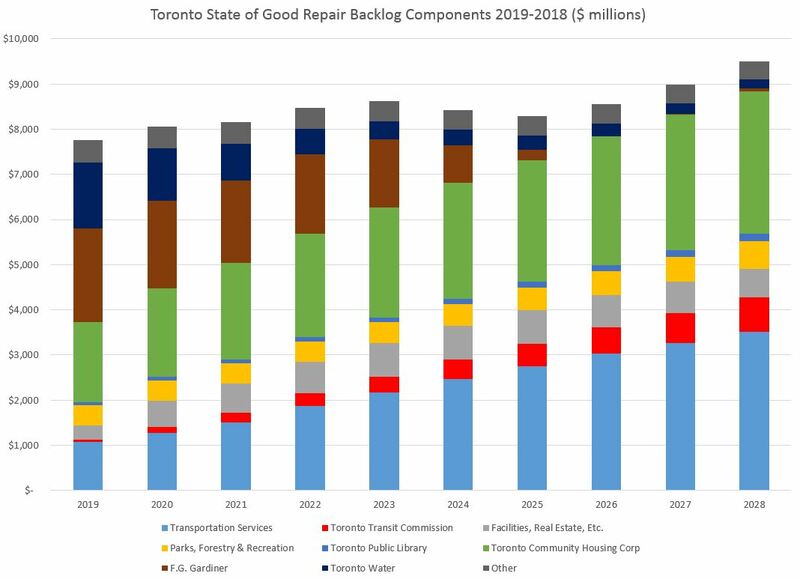 Through all of this, there is only minimal discussion of service improvements simply to keep up with the Board-approved Service Standards. 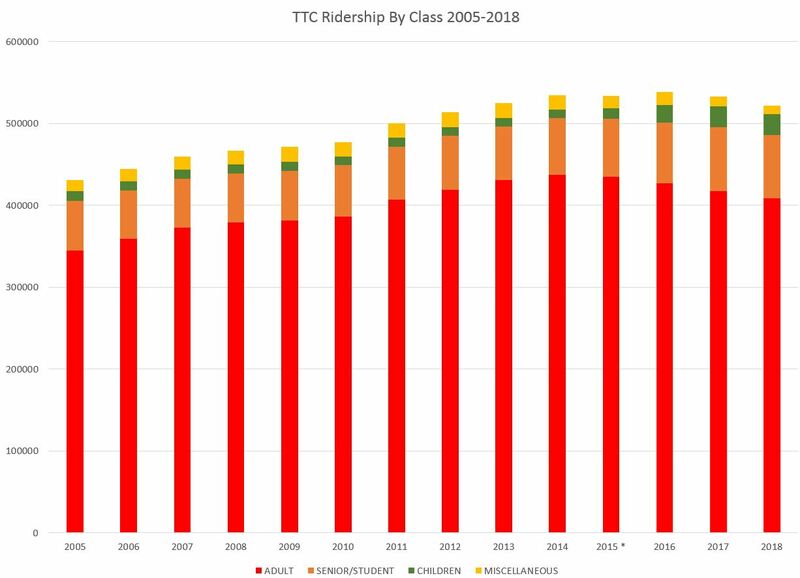 As I reported previously, the TTC’s scheduled service on the bus network only increased from 1,560 to 1,582 vehicles between the November-December 2017 schedules and their 2018 equivalent. The Express Bus Network added about 30 buses to affected routes, but this means that service elsewhere at best held steady. 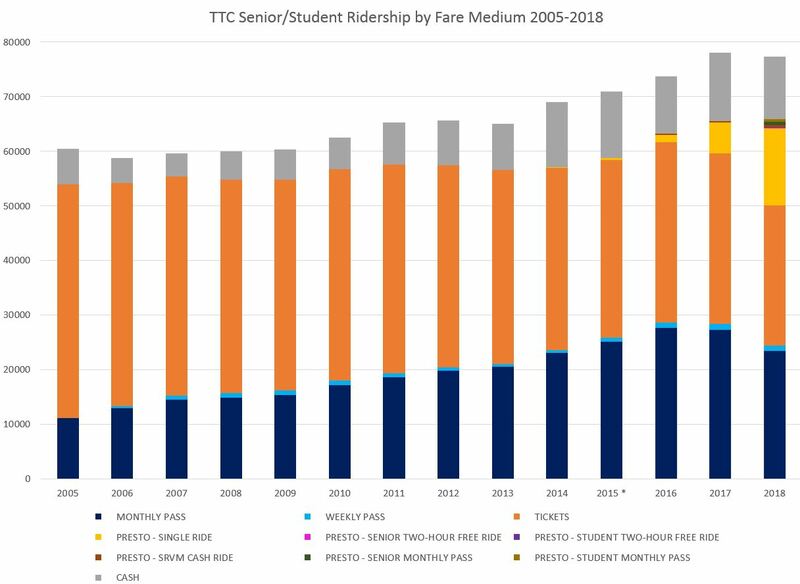 The January 2019 CEO’s Report shows that the TTC is attempting to address overcrowding and has made some progress since 2017, at least on paper. 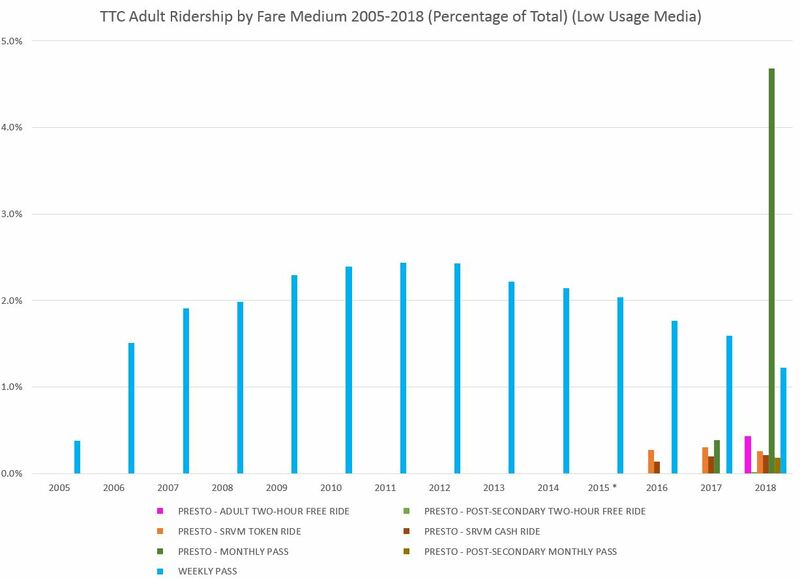 Riders in the real world might beg to differ, especially in recent days where system reliability coupled with increased demand has given transit a very black eye. 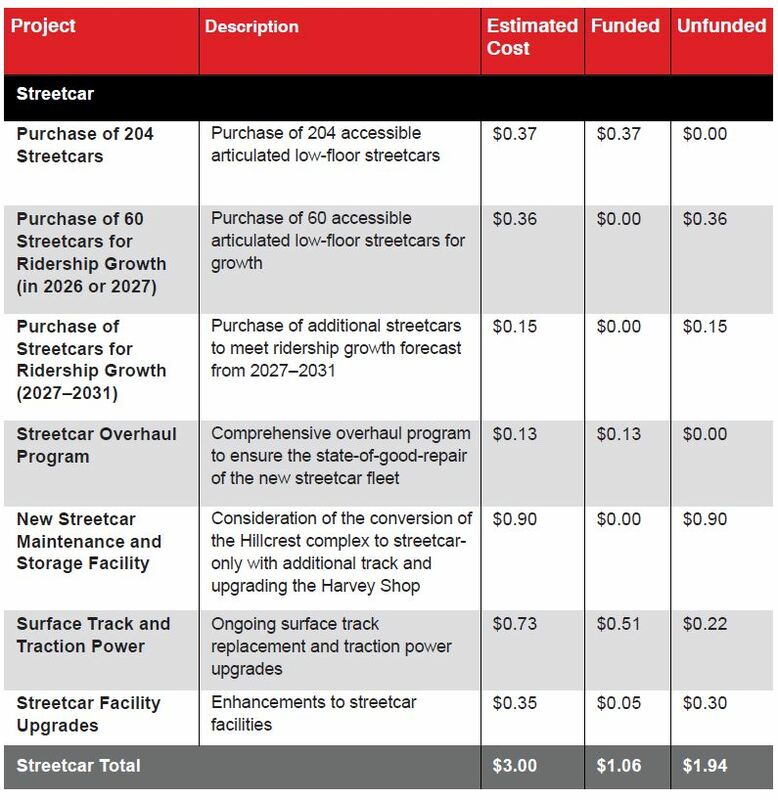 The TTC’s Service Budget includes provision for a roughly 2.8% increase in 2019. 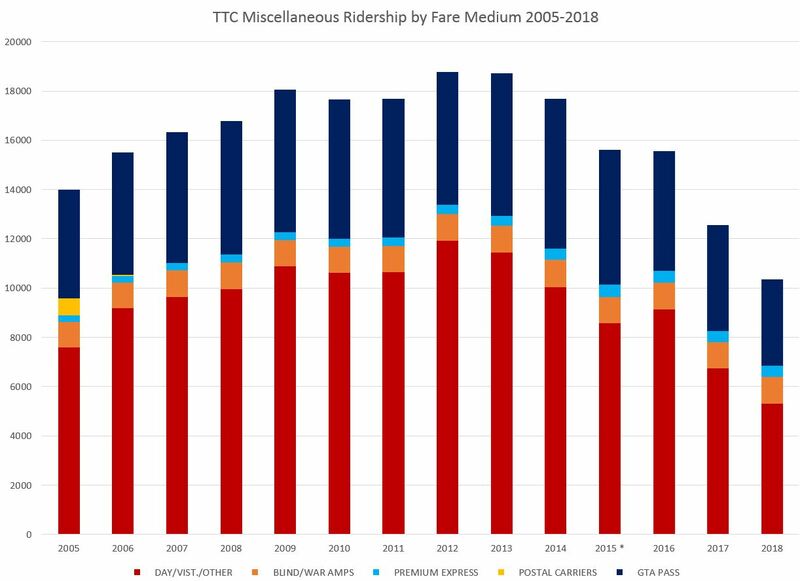 Although the TTC reports on route reliability, the most recent report is for August 2018. This measures “on time departures” from terminals which do not represent the service most riders see along major routes. 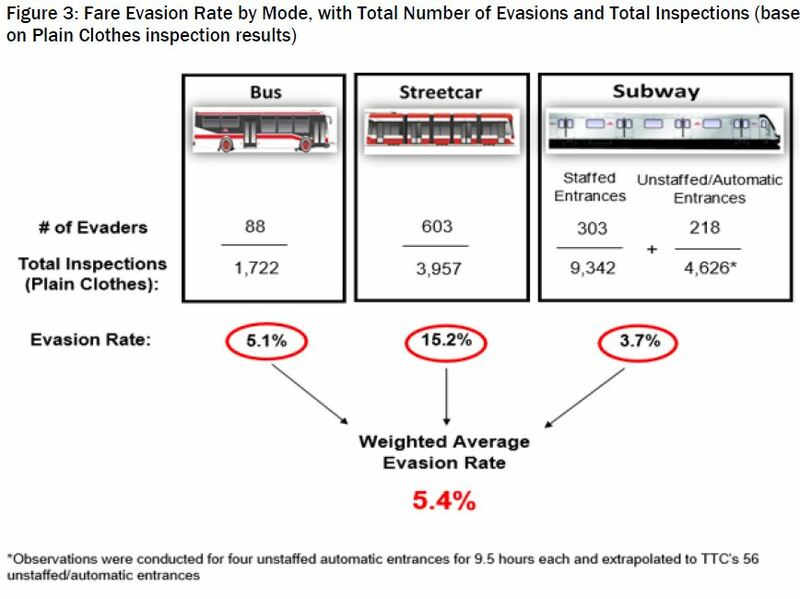 As I have discussed in other articles, the “standard” which is measured has so much slack in it than the bunched service commonly seen by riders falls within the allowable “on time” standard. 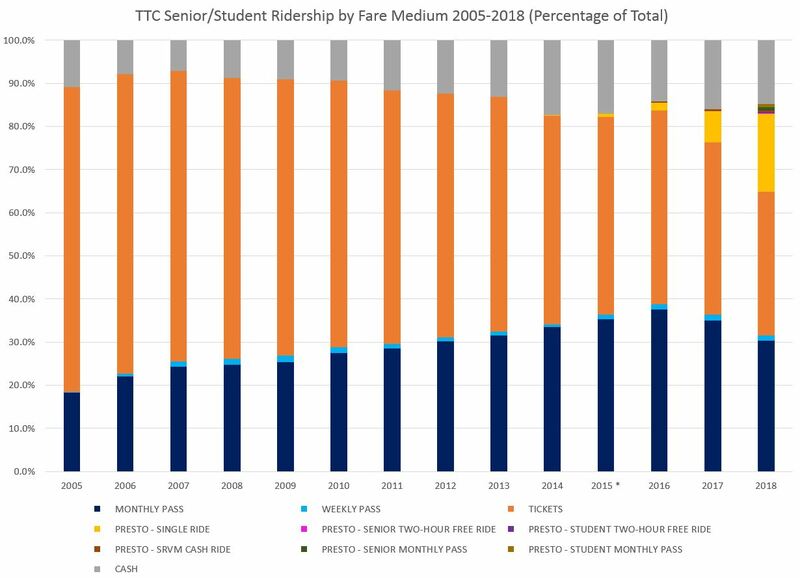 If the TTC is going to improve its credibility with riders, not to mention get better utilization out of its fleet, it must address service reliability by doing more than reporting a meaningless index. 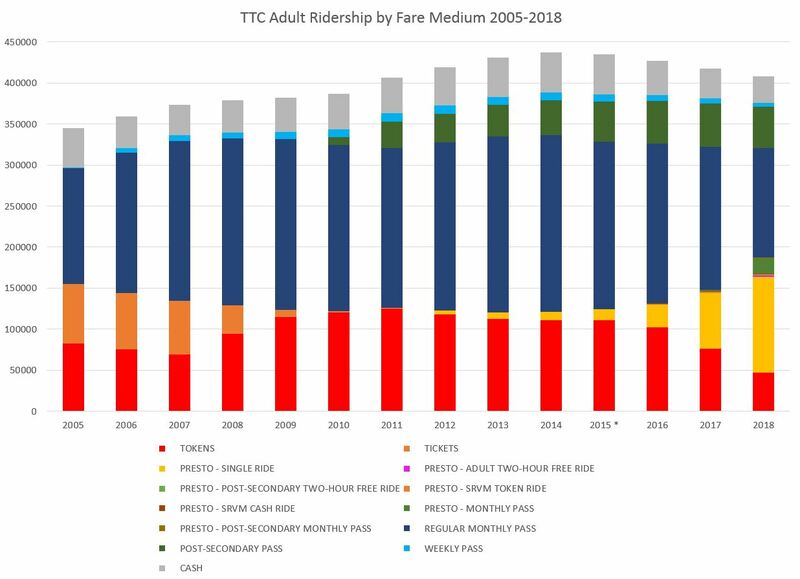 As for crowding, the TTC has not published route-level riding and crowding statistics for a few years, and there is no tracking data to show the state of the system.